Julian Bakery is proud to announce the newest addition to our diet and allergy friendly bread line: Paleo Bread. Paleo Bread is the holy grail of bread, truly a dieters dream. 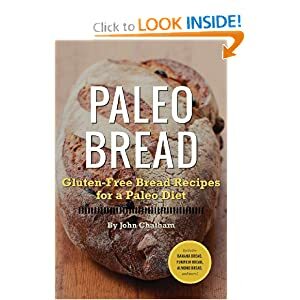 Paleo Bread™ was inspired by the Paleolithic diet due to it’s health and dietary benefits. Those who follow the Paleo lifestyle cut out all grains and eat what our native hunters and gatherers ate many years ago. It’s a food plan based on lean meats, seafood, nuts, fruits, and fresh vegetables. We created two versions of Paleo Bread which meet any and all requirements in order to be kind to practically any diet. Both breads are healthy, low calorie, gluten free and grain free. The Almond variety and the Coconut variety are equally tasty and both offer their own unique benefits. Julian Bakery made Paleo Bread™ to fulfill the craving for bread while you are living a Paleo lifestyle free from processed foods. Paleo Bread utilizes the highest quality ingredients. This bread provides the protein and fiber your body needs to satisfy hunger while helping your body to perform at its peak. We love The Paleo Bread and hope you do too! almond, bread, gluten, paleo, Recipes. Bookmark. Get “Zero to Paleo” Free!